The first new global map of Earth from space at night since 2012 has been released by the NASA scientists. The nighttime look of our planet is dubbed the “Black Marble”. But why? On December 7, 1972, the crew of Apollo 17 spacecraft en route to the Moon took a photo of Earth from the space, at a distance about 45,000 kilometers (28,000 miles). 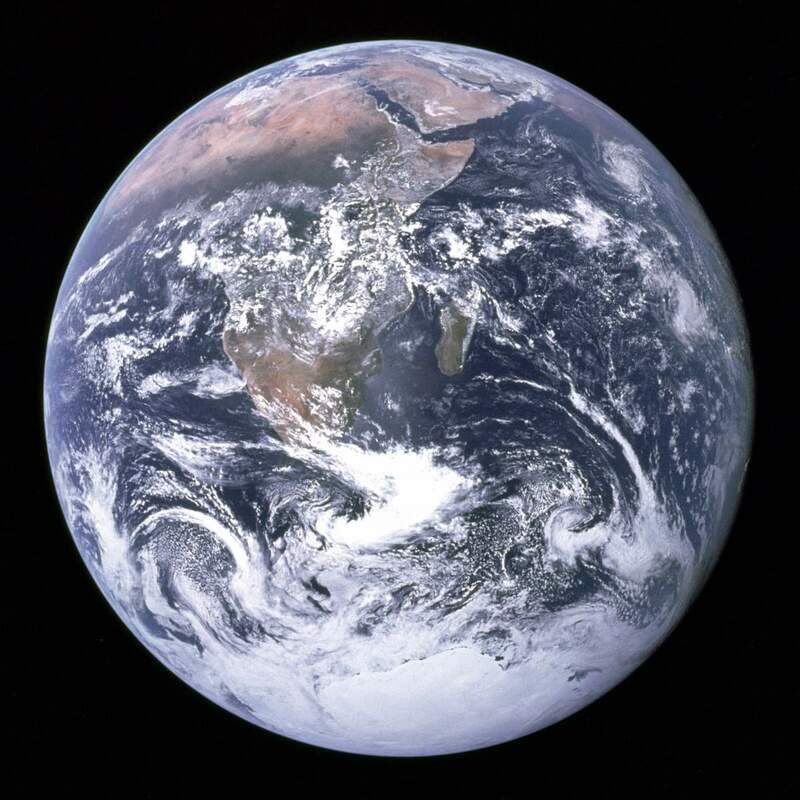 This image, with the official NASA designation AS17-148-22727, became known as “The Blue Marble”. 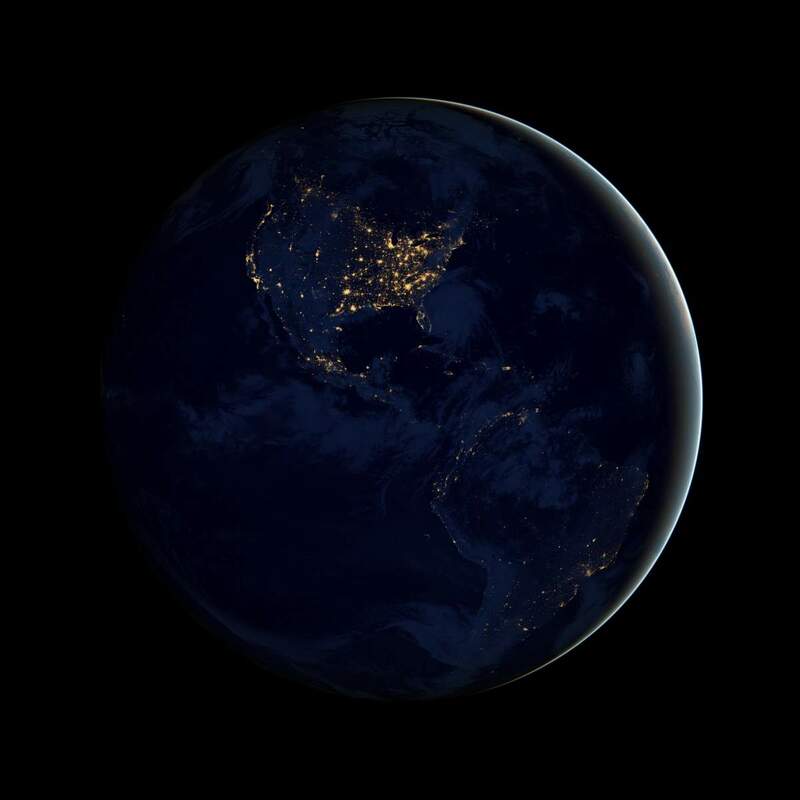 On December 5, 2012, using the data was acquired by the Suomi NPP satellite in April and October 2012, NASA released a nighttime view of Earth – and it was called “Black Marble”, after the “Blue Marble”. The images taken at nighttime were mapped over existing Blue Marble imagery of Earth to provide a realistic view of our home planet. Black Marble – North and South America at night. Today (April 12, 2017), NASA scientists have just released the first new global map of Earth at night after the original Black Marble, as well as a revised version of the 2012 map. The new images were taken in 2016, again by the Suomi NPP satellite and they provide researchers with a unique perspective of human activities around the globe. By studying Earth at night, researchers can investigate how cities expand, monitor light intensity to estimate energy use and economic activity, and aid in disaster response. Daily nighttime imagery also could be used to help monitor unregulated or unreported fishing. It could also contribute to efforts to track sea ice movements and concentrations. Researchers in Puerto Rico intend to use the dataset to reduce light pollution and help protect tropical forests and coastal areas that support fragile ecosystems. And a team at the United Nations has already used night lights data to monitor the effects of war on electric power and the movement of displaced populations in war-torn Syria. These three composite images provide full-hemisphere views of Earth at night. The clouds and sun glint – added here for aesthetic effect – are derived from MODIS instrument land surface and cloud cover products.Credits: NASA Earth Observatory images by Joshua Stevens, using Suomi NPP VIIRS data from Miguel Román, NASA’s Goddard Space Flight Center. You can download high-resolution images of Americas, Europe and Africa, and Asia and Australia from NASA website.